I was 7 years old. My Dad walked me down to #8 and he gave me a 7 iron and a putter with a golf bag to start with. We played #8 and #9. I will never forget playing #8 that first time with my Dad. He was very patient with me. After playing #8 and #9 together he let me go out and play #8 and #9 by myself. As soon as I finished I walked into the club house and asked my Dad when I could hit The Driver. All of his buddies started laughing in a good way. He had me go get his Driver and then he had me stand next to it. He told me as soon as I was tall enough I could hit The Driver. 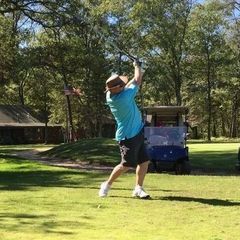 From that moment on I was determined to play golf so I could hit a driver. My dad I played a lot of golf together over the years. We had a lot of very special moments together. I wish I had only played more golf with him now that he is gone. Every year since he died I will go out and play a couple rounds of year by myself so I can just think about our times together on the course. I have considered that as well, but I wonder how often I would use it in comparison to a 60? With my Driver 5 Wood combination I can give myself that chance to reach most Par 5s that are 500 to 550 yards. I can comfortably really get after a 5 Wood and I can comfortably ease off of it as well as dictated. It is a club that has been one of my favorites all of my golfing days. My only issue is wind and the 5 Wood, I get it up pretty good in the air so a club that I can hit long distance that flights lower is tempting. 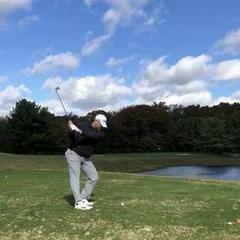 I still think in an entire golf season I would use a 60 degree wedge more often in the season and in a round. Thank you for adding this thread. I read thru the entire thread and it was very informative. So now based on this I should be looking at 60 degree 10 bounce with Mizuno. That is the biggest(?) most bounce they have in the S8. I am a big believer in having all of my wedges the same, with that in mind Mizuno only seams to make a 60 with a 6 or 10 bounce. Should I look at this one wedge differently and maybe get a different brand that makes a 60 with a higher bounce? I agree with you. That is why I added a 48 degree wedge last month. I have yet to use it because of the 2 million feet of snow still on the ground. I will get to use it at the end of the month when I go to South Carolina for 4 days of golf. You sound like my wife 😁 "Do you really need a 14th club". My Ping cart bag actually holds 15 clubs and I will fill it and even double up sometimes when I want to practice and have some more clubs to try. My Dad was a club hound, he never threw out a club. Or I will grab a couple older clubs to hit a couple shots for fun. I filled a gap in my bag with the 48 degree wedge. My 52 is a solid 110 yards and my PW is a sold 135. that 120-125 was killing me. I have lost the art of the "chock down" full swing PW and over swinging on the 52 caused uncontrollable back spin when hitting greens. Back to your question, which is a great question "Do I actually need a 14th club?" Only to help save strokes or lower my score. If I feel a 14th club will help do that then yes. The 13th club I just purchased will help me to lower my score as it filled a glaring gap. I would note on my score card every time I needed that 120 yard club in a round. It surprised me how often I had that shot. I am strongly leaning towards a 60 degree wedge for this club. I am envisioning more ways to use it then a 2 hybrid now. @klineka I enjoy the creative part, it is fun. I will carry two Drivers from time to time. My dad built a short shaft 10 degree driver, one of those square headed ones about the length of a 3 Wood. I will carry that when I know I am playing a course with more dog legs. Sometimes I like to carry it just to see the difference between my current Driver and hitting it. It is really loud. as far as bounce - Mizzuno makes their 60 degree wedge with a 6 bounce or a 10 bounce. I know very little about bounce to be honest. Which bounce would you suggest? My son stole my 3 Wood it was a Ping G25. Current 5 Wood is a Wishon 929 and that is a stunning club. I like the Cobra F7+ Driver in my bag a lot! 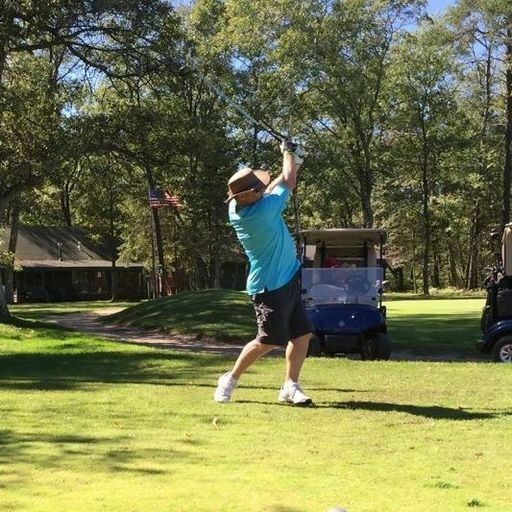 Even when I was using a 3 Wood instead of a Driver (Persimmon days) I still never hit that 3 Wood very well off of the deck, I have always gone to the 5 Wood to hit off the deck. Should Club Manufacturers Have to Standardize Loft? A good Fitter does explain the difference, at least with every fitting I have either had done or been at with friends getting clubs. Not only did my Fitter explain what the difference was between a Miura 7 Iron and a Mizuno 7 Iron he also explained why I should or should not consider one brand vs another while letting me choose which club head to focus on. 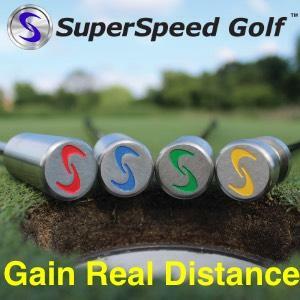 A good Fitter will also go into great length on the best shaft to us as well and explain why that particular shaft with that particular head works best and not. Then a good Fitter will also go into the grip A good Fitter doesn't look at the loft of a particular brand, but how well those clubs gap and how best to maximize your game within your budget. Actually, no I have never thought of getting one. I learned to hit a 56 out of the sand when I was young and that has always been my go to. This is intriguing Ok, can you really have to many wedges? I enjoy a good Scotch but not while reading any of those books, I want to stay awake while enjoying Scotch. I have a brush to clean my grooves and use it all the time. And I have stated that I am better then this, usually ending the sentence with really. While being totally embarrassed while saying it. My dad had white polished leather spikes, white belt, white pants, white shirt and red hair. It was a sight to behold as he went down the fairway. That's as close as I will come to that outfit. I don't own a range finder but after this I am tempted to get one just to use on the green to see what my buddies would say. It would be hilarious, for those of you that do I applaud you. I looked at it today on Fourteen's website. Still nice and bright yellow. Reminds me of the old Schwinn 5 Speed Lemon Peeler. Lists of this type are subjective, that in of itself is what makes them enjoyable. When I saw this thread show up I wanted to take some time to answer it, put some thought into it. In my opinion I do not see anyone one person my list I presented that I would take off to add TW. Yes, I agree he is one of the most influential golfers ever but not the most influential ever. Of this moment, no doubt. Ever in golf, no. TW is not, in my opinion even in the Top 10 of the Most Influential Athletes ever, compare TW to just this short list: Jesse Owens, Jackie Robinson, Mohammad Ali, Michael Jordan, Pele, Babe Didrikson Zaharias, Jim Thorpe, Michael Phelps, 1965-66 Texas Western Minors Basketball Team. 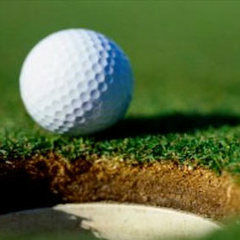 I like TW, he is a fantastic Golfer, one of the greatest Golfers ever. He electrified the PGA again when it was close to the lowest point in it's history. The USA PGA field was at it's weakest when TW entered and the PGA needed him desperately to succeed. And succeed he did! Yet, TW is the most polarizing Golfer ever also. Once TW retires from the PGA, let's look at his total "body of work" in golf and review if he deserves to be on a "Mount Rushmore" of Golf. Until then it would be silly to place him on one.